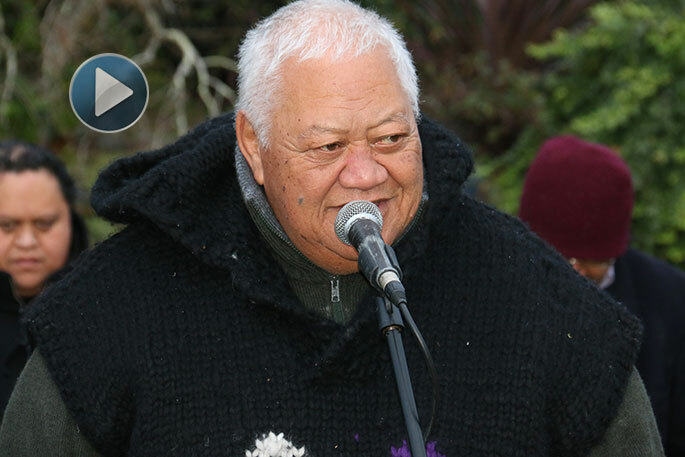 Peri Kohu at today's commemoration. 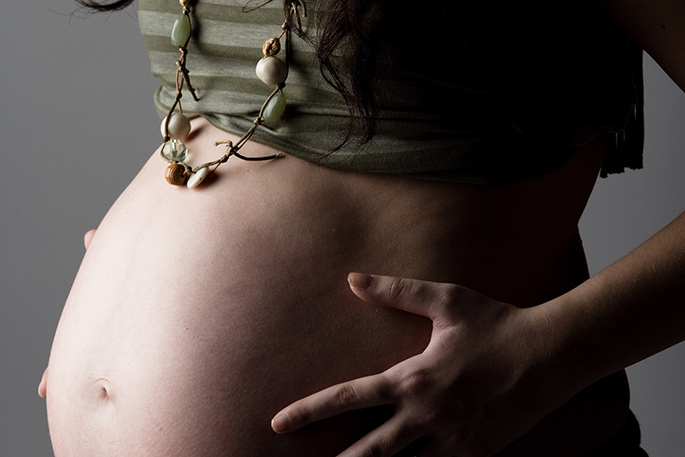 Video and photos by Rosalie Liddle Crawford. 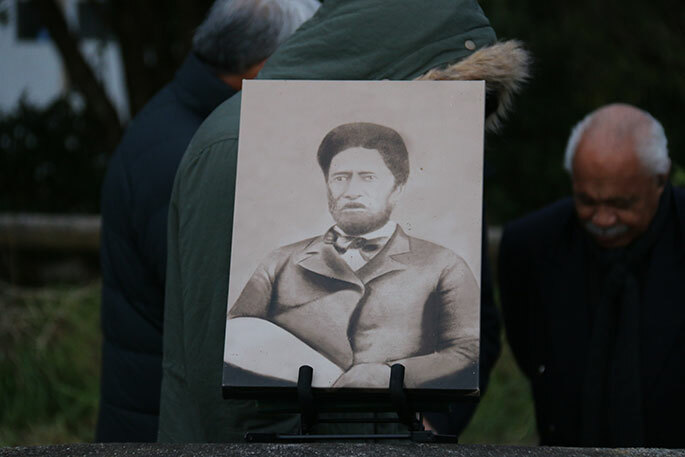 A gathering at dawn today was held to commemorate the Battle of Te Ranga. The Te Ranga Reserve on the corner of Pyes Pa Road and Joyce Road was the site of this significant battle 154 years ago in 1864. The Battle of Te Ranga occurred after the battle of Gate Pā/Pukehinahina. Following their humiliating defeat at Gate Pā, some of the British force at Tauranga returned to Auckland. 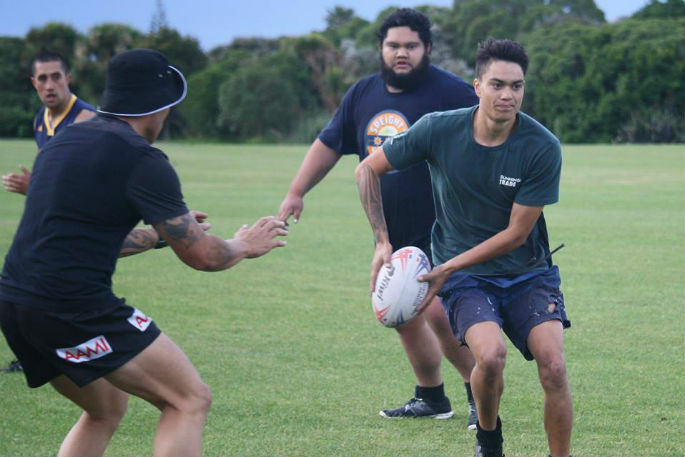 Meanwhile, their Ngāi Te Rangi opponents were reinforced by warriors from Ngāti Rangiwewehi, Ngāti Pikiao and Ngāti Porou. They began building a pā at Te Ranga, five km inland from Gate Pā. The 43rd regiment – ‘mad for revenge’ for their losses at Gate Pā – as well as the 68th and 1st Waikato regiments stormed the site and engaged in close hand-to-hand combat. Rāwiri Puhirake, one of the leaders at Gate Pā, was killed, the retreat became a rout. British cavalry gave chase, but could not penetrate the nearby bush. More than 100 Māori, including the chivalrous Hēnare Taratoa, were killed or mortally wounded at Te Ranga, as were 13 British troops. 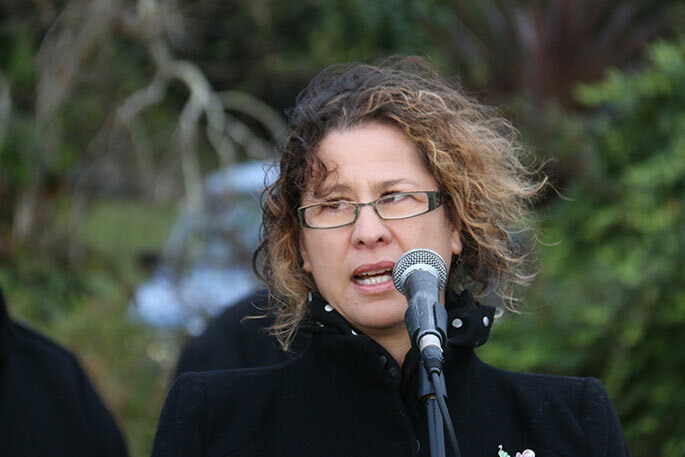 At the dawn gathering commemorating this battle, Tamati Tata and Pahu Akuhata opened the proceedings with a mihi and karakia, followed by the singing of a hymn led by the Ngai Tamarawaho choir. Buddy Mikaere asked local historian and Pyes Pa resident Lt Col Cliff Simons to relate the story of Re Ranga on June 21 1864. “The British moved on to Gate Pa - Pukehinahina, levelled the pa and built a redoubt. A redoubt is a dirt fort,” says Cliff. 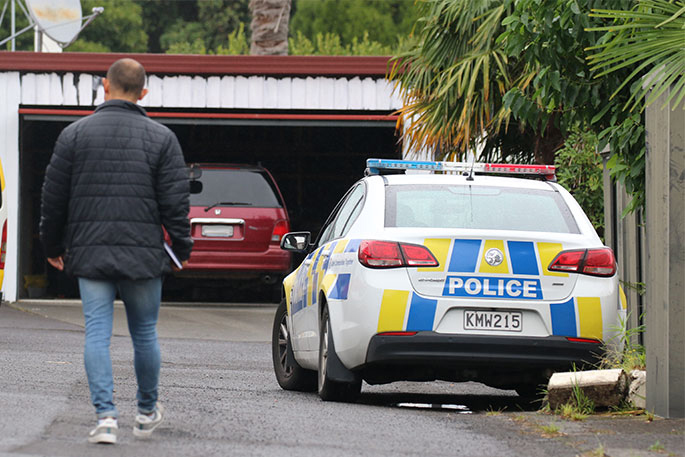 “They moved out towards the Wairoa River, destroyed the pa on the banks of the river, and then another pa further over in Te Puna. The intention was to build a string of redoubts out in that direction. “It appeared that peace might be possible at some stage, and some of the neutral chiefs tried to broker discussions between the Civil Commissioner and some of the warriors who had been at Gate Pa. But that didn’t happen. 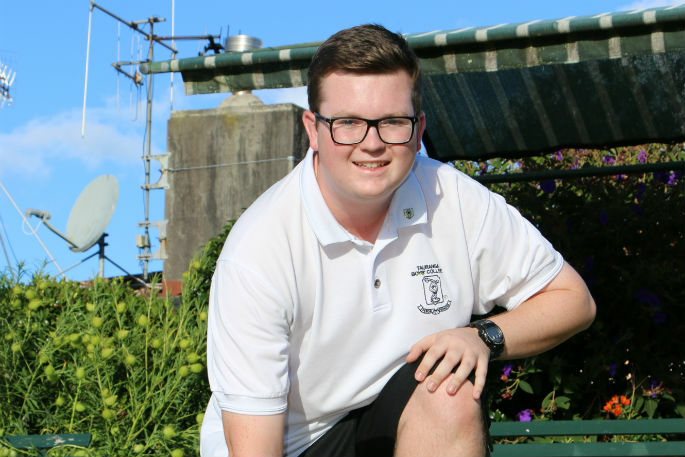 And then General Cameron got the news that he was required in other parts of the country, down in Whanganui and Napier. So quite a number of the British troops left at that stage. “The British fell back on four positions. They had about 500-600 men at Te Papa, which is what we now know as The Elms, 100 men at the Huria or Judea redoubt, 150 at the Gate Pa redoubt and another 150 out at Maketu. “The Maori situation was that a large number of warriors had flooded into the area. The fighting in the Waikato had finished so a number of warriors had come across from there, still keen to carry on the fight. And a large number of war parties had arrived from the East Coast. The British got wind of this strategy. Some Maori chiefs who were on friendly terms with them gave them information, and they had other intelligence that told them that something was afoot. So they started to patrol, out to the river and in this area. Daily they were sending patrols out to see what would happen. “Colonel Greer’s strategy was that if he saw a new pa being built, he would try and attack it as soon as possible, because what had happened at Gate Pa/Pukehinahina is that a very strong pa had been built over a three week period, and this time they didn’t want to let that happen. “On the night of June 20, the night before the battle, a four man cavalry patrol spotted a large number of warriors and people coming into this direction carrying building supplies, and they realised that there was a pa that was probably going to be constructed in this area. There were about 500 people. “They rode back, gave the information to Colonel Greer, and he was ready to move the next morning. “Just after 8am the following day, Colonel Greer left with 600 men, some artillery and 14 buglers. You’ll sometime hear the story that this was just a reconnaissance party that happened to accidentally find the warriors entrenching in this site but I don’t believe that’s true at all. When you’re coming out with 600 men, artillery and buglers, you are expecting to be involved in a battle. And that’s exactly what Colonel Greer was expecting. He set off, marched past the redoubt at Gate Pa.
“The warriors here had been digging all night. They’d come with fence posts, railings, supplejack and watling, and the intention was to build a string of pits across this site just here. We don’t know exactly where it was. There are various descriptions of it. Somewhere between 175 and 250 metres. There were 43 pits, of about six feet by four feet, and by the time the British troops had got here in the morning, they had dug down about four feet. Some posts had been dug down into the ground and a little bit of fencing had begun to be erected. “About two miles away the British came into contact with the Maori sentries, who were about two miles out, so that’s somewhere about where Barkes Corner is. They fired their guns and let the people here know that the British were on their way. Some skirmishes were sent out to try and slow the British down. They wouldn’t have known how big the British party was. They fought a bit of a withdrawal, firing their weapons and coming back into this position. “By about 10.30am, Colonel Greer, with his 600 men was in the vicinity of Aquinas College. He immediately assessed that this was what he’d been looking for, and sent back to Te Papa for another 220 men and another six pound Armstrong gun. “The British deployed further forward, they came up to within about 200 yards of the pa and put troops on either side of pa. So the idea was to trap the warriors in here, to pin them down with rifle fire until the extra reinforcements arrived. “The people in the pa here could see that they’d been caught in a very difficult situation. Their entrenchments were far from complete and they had very little cover. If there were 500 people here it was far too many for the pits that had been constructed at that time. It’s thought that up to 300 actually quietly melted away into the valleys behind at this point. 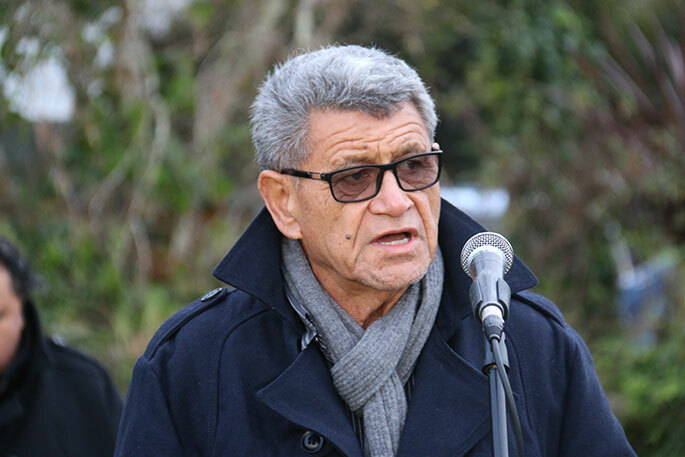 “I should mention that most of the people here were from the East Coast, or from the Rotorua Lakes area or various other places although there was a large tangata whenua contingent as well. So that left perhaps 200 still manning the pits. By about 12.30pm the reinforcements arrived for Colonel Greer. While he was waiting for those reinforcements, he had the soldiers lined up ready to charge, and they were very keen. His senior majors were calling out to him, asking him to give the command to charge. But he was holding back until he knew that he had the reinforcements. In the distance he could see 500 more warriors coming. They were firing their weapons and shouting and they were coming down. So he had to time his charge to make sure that to make sure it happened before those reinforcements arrived for the warriors who were here. “People in the trenches here were very resolute and at one stage there was a very powerful volley of fire that indicated that they were ready to make a stand. At about 12.30pm, Colonel Greer gave the command to charge. They probably charged over just a 60 metre distance. The warriors resisted that charge. Most of them had shot guns so they would have fired two rounds and then it was a very brutal hand to hand combat. Once you have fired out of those weapons you can’t reload them quickly because it’s a process of using a ramrod. And so it was hand to hand fighting right through here. “The British soldiers had long muskets with an 18 inch bayonet and they were trained for just this type of warfare. The warriors would have had tomahawks, they would have used their rifles or muskets as clubs and it was a brutal fight along here. Cliff completed the story of how the British achieved a complete rout of the pa site. Following his talk, Leanne Rolleston gave a reflection on Romans 12:20, and Mayor Gary Webber shared some thoughts. 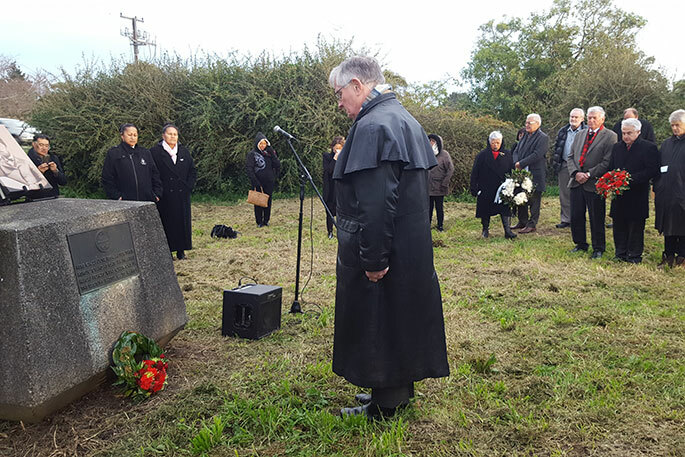 Wreaths were laid accompanied by Andrew Graham playing a lament on his bagpipes – “Flowers of the Forest”. 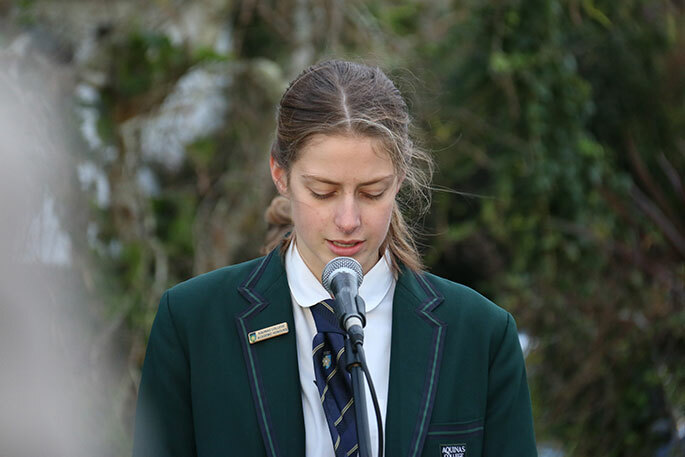 After a two minute silence, Aquinas College students Issie Dekker and Nic Scott read their poems. But at what cost, had a nation struck a scar?